New e-Brochure sale is up now in which we will mention its brilliant choices of cosmetics and many beauty products developed by skillful hands of Avon’s scientists. Check out the big deals on this e-Brochure and learn new ways to make up your beauty ! 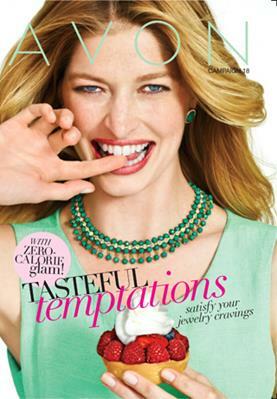 We will introduce Avon Campaign 18 step by step with its regular sales (e.g. make up, lipsticks, fragrances, accessories, clothing). Firstly you need to consider accessories sale including leather bags, beautiful colourful earrings, watches, necklaces etc. One example from this range is Breathtaking birthstone gift set which includes earrings with blue sapphire outlook and 3 piece set. Its priced at $9.99 but you are not currently able to avail this product. We may need to wait for a while. 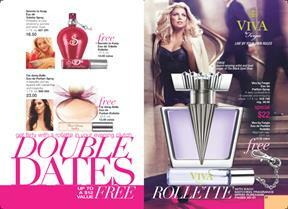 Second product range we inspect is the fragrances range of Avon. One example ON PG; 16 for this fragrances range is the Imari Seduction eau de cologne spray whose price is $12 with body lotion. Another example is eau de toilette spray again from Imari Seduction, which is placed on the same page and priced at same value. * Sweet Honesty Cologne spray. We didn’t give the prices since the official website has not specifically indicated that these products are available at the moment. From Scent section of Avon you can also find Unplugged selection; one example is Romantic & Floral or Rich & Radiant on pg; 26.